← FiveFingers Update: Trail Running Tips? This is adapted from an e-mail forward I received from a reader. I’m not sure of its origin, and I can’t vouch for its veracity, but it sounds plausible. Take a look and let us know what you think. Do you have any practical self defense tips–especially for those without any martial arts training? 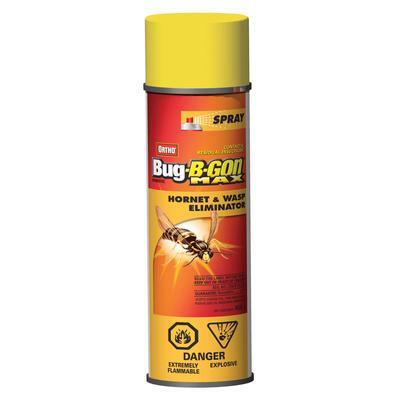 Wasp Spray. A friend who is a receptionist in a church in a high risk area was concerned about someone coming into the office on Monday to rob them when they were counting the collection. She asked the local police department about using pepper spray and they recommended to her that she get a can of wasp spray instead. Glinka considers it inexpensive, easy to find, and more effective than mace or pepper spray. The cans typically shoot 20 to 30 feet; so if someone tries to break into your home, Glinka says “spray the culprit in the eyes.” It’s a tip he’s given to students for decades. Did you also know that wasp spray will kill a snake? And a mouse! It will! Good to know, huh? It will also kill a wasp! This is adapted from an e-mail forward I received from a reader. I’m not sure of its origin, and I can’t vouch for its veracity, but it sounds plausible. Take a look and let us know what you think. Do you have any practical self-defense tips–especially for those without any martial arts training? Confidentiality Notice: This communication and the transmitted documents contain private, privileged and confidential information belonging to the sender. The information therein is solely for the use of the addressee. If your receipt of this transmission has occurred as the result of an error, please immediately notify us so we can arrange for the return of the documents. In such circumstances, you are advised that you may not disclose, copy, distribute or take any other action in reliance on the information transmitted. This entry was posted in Uncategorized and tagged pepper spray, self defense, wasp spray. Bookmark the permalink.